An Offaly woman has been named as a key member of the Center Parcs Ireland management team. Celine Bowyer from Edenderry has landed the role of Leisure Services Manager at the resort which is set to open later this year and attract hundreds of thousands of holidaymakers to the Midlands. The news comes as Center Parcs announce their entire senior management team with the final two members appointed in recent weeks. Olwyn Hughes, Service Delivery Manager (Roscommon; Jonathan Latimer, Finance Manager (Cavan); Mike Ahern, Accommodation Services Manager (Cork); Lorraine Danaher, HR Manager (Ballymahon, Longford); Dave McCourt, Technical Services Manager (Athlone, Westmeath); Céline Bowyer, Leisure Services Manager (Offaly); and Gavin Reilly, Food and Beverage and Retail Manager who has moved to Longford from Whinfell Forest under the leadership of General Manager, Daragh Feighery (Kildare). 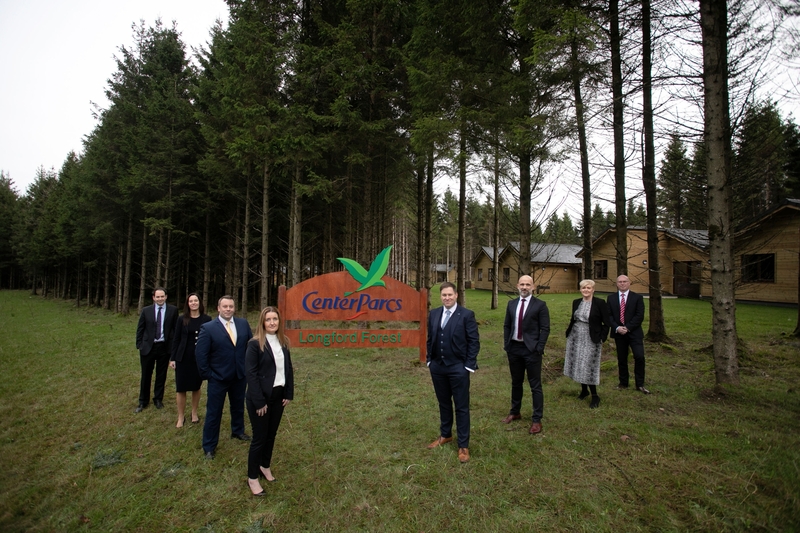 Center Parcs will now begin their main recruitment drive as they intend to recruit approximately 1,000 members of staff before the forest resort opens this summer. To support this recruitment campaign, Center Parcs are holding a number of housekeeping roadshows where anyone interested in working in this area of the business are invited to attend and find out more about the roles available. The next roadshows will be taking place on Wednesday, February 6 at Hannon's Hotel in Roscommon from 10am to 12pm and St. Mary's Hall, Lanesborough, Longford from 1pm to 3pm. The build of Center Parcs Longford Forest is progressing on schedule and the forest resort is expected to open in summer 2019. Anyone interested in applying for a role with Center Parcs Longford Forest they should sign up for job alerts at www.centerparcscareers.ie.